I am often asked for tips on how to put together an itinerary when traveling with kids, so this is the beginning of a new series of Tips & Guides to Traveling with Kids. Below, I’ve outlined a few basic – but very important! – rules that I live by when planning a trip with my three boys. The absolutely-positively-totally-do-not-forget-it, number one rule of creating an itinerary with kids is this: keep your expectations rock bottom low. Even the best behaved, most amazing, awesomely angelic children surprise us in unexpected, and sometimes shocking ways when taken out of their element and plucked in a foreign place. By the way, if you have kids as I’ve just described, send them my way. I’ll take them on vacation myself! 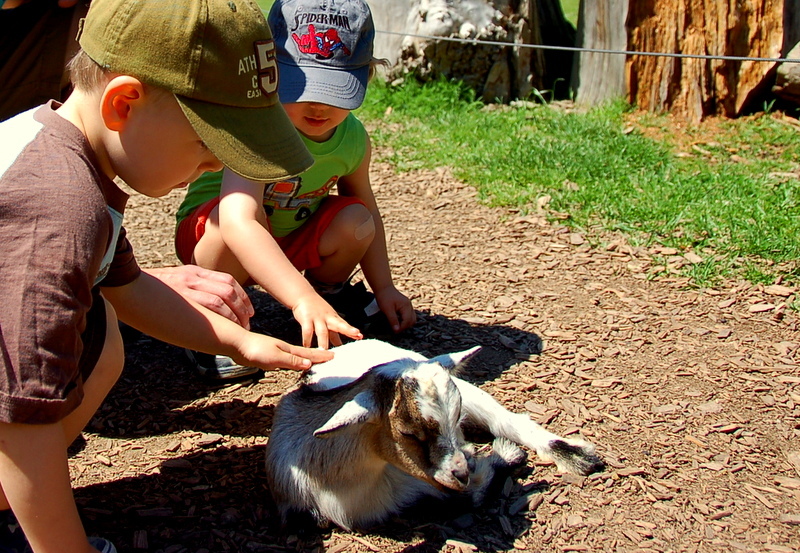 Could your kids last several hours in a fascinating – to you – museum? Maybe. But chances are if their routine is out of whack (and it almost always is when traveling), they probably won’t. Sometimes their behavior isn’t even the issue; maybe that delicious street food you had for dinner last night is wreaking havoc right next to da Vinci. You just never know. In light of this, here are four more guidelines to help you determine your ideal vacation itinerary. The first thing I do in itinerary planning is make a list of everything I am interested in exploring. I rank the list of attractions, shops, restaurants, etc. according to importance. 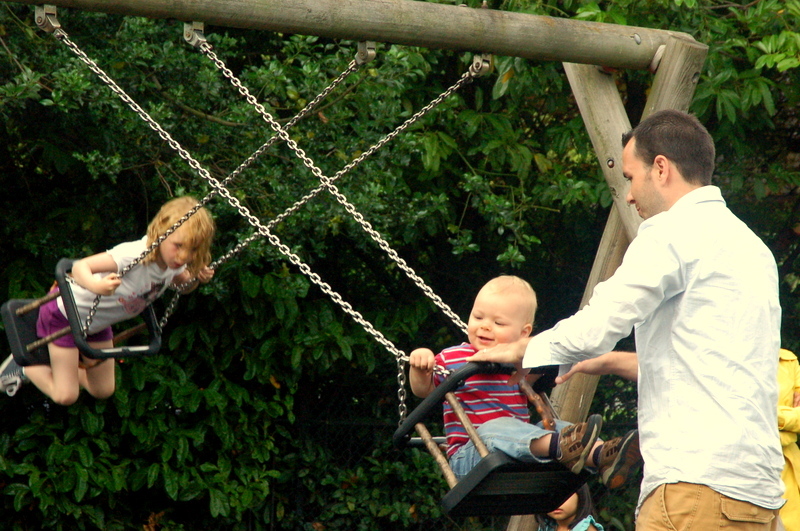 Next, I make another list of things that my children enjoy (such as swimming, hiking, going to the playground, etc.). Google “(your destination), (activity), kids” or “(your destination) with kids” to see what fun activities are possible for them. 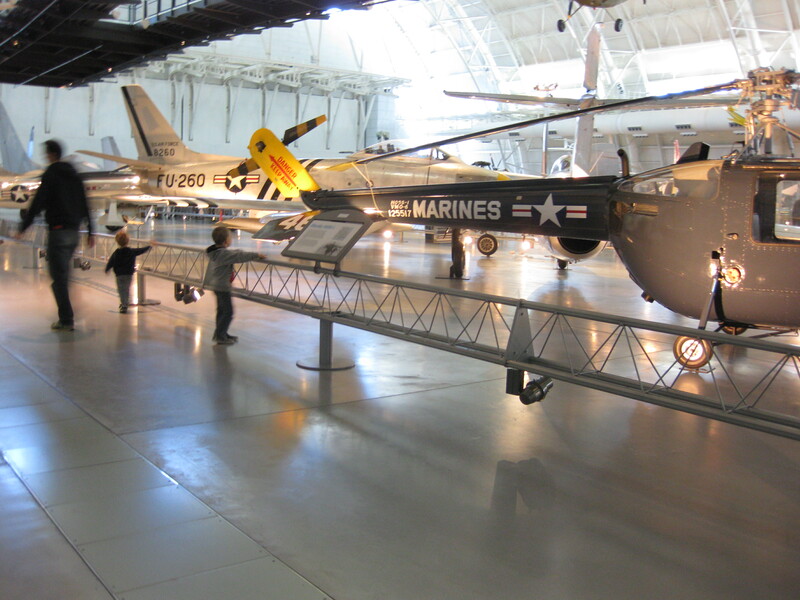 Visiting the National Air and Space Museum was something I knew my boys would enjoy. When I have my lists, I pick ONE thing from each list to do per day. Yep, only one. Most likely that’s all you’ll successfully accomplish – and even the successfully part is not guaranteed. Your compilation will vary greatly with your personal interests as well as with the age of your children. Some things I blacklist when traveling with a baby, a preschooler, and a kindergartener are museums, organized tours, places where children MUST be quiet, fancy places with breakable objects, expensive restaurants, and attractions with potential danger for children. 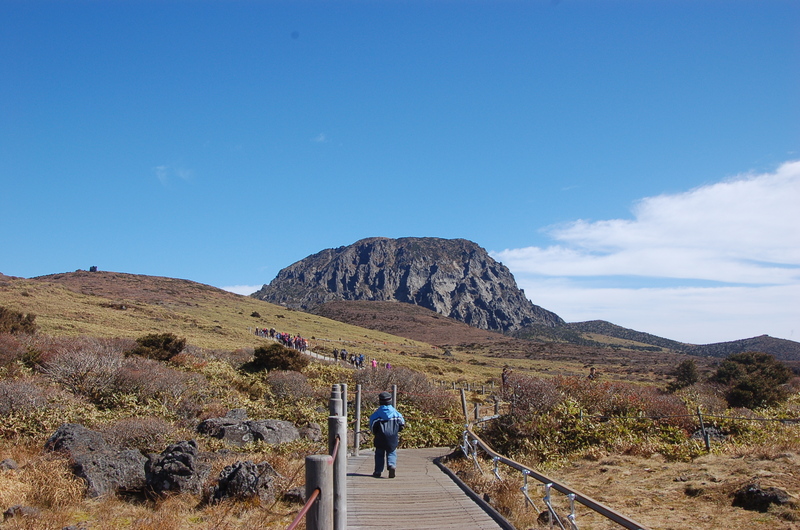 Hiking Hallasan was something Doc Sci and I really wanted to include in our visit to Jeju-do. Families with older children probably won’t need to blacklist anything. Also, the interests of older children will be more developed and personal. I suggest letting each older child make a list of things he or she like to do. Then, give each of the children a block of time to plan. 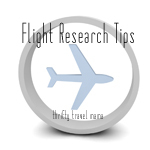 You might need to help in the area of logistics, but as much as possible let them come up a realistic itinerary that embraces their unique interests. Now that you have your ONE thing per day that you are really looking forward to, it’s time to provide some incentive for the kiddos to be on their best behavior. The rewards for positive attitudes, good behavior, listening, and being patient can range from a simple treat like ice cream or a souvenir from a fun shop to something much bigger such as a visit to the zoo or a water park. 79 cents for two hours of good behavior is a total bargain. It’s definitely okay – and encouraged! – to use attractions from the kid’s list as incentive. I’d steer away from threatening (“If you don’t keep quiet, I’m not taking you to Legoland.”), and instead just keep it positive (“I can see you’re trying hard to be quiet. Keep up the good work, and we’ll have fun at Legoland together when we’re finished with this exhibit.”). 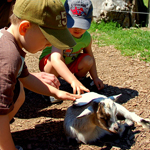 How about a visit to an animal park or zoo as a reward? How and when you use these incentives is up to you. Sometimes I find that telling my boys too far in advance that they will get to go to a fun kids restaurant for lunch results in me having to listen to, “When are we going to the restaurant?” three hundred and fifty times in a span of about ninety minutes. I usually let their best morning behavior run its course before reaching in my virtual bag of tricks to pull out a reward. It seems rather obvious to feed your children, right? But, it bears repeating since every parent knows the horror of a hunger-induced public meltdown. Get a good breakfast in your kids, and then set out to do your one thing. We usually have a picnic or eat at the vacation rental for breakfast as well as one other meal per day. When we eat in restaurants, I scope out the location, type or service, and the menu in advance. 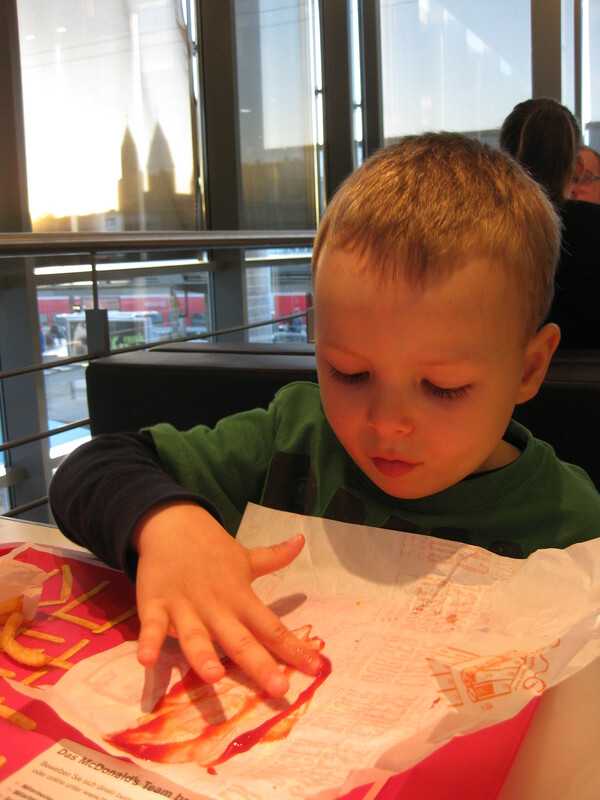 It’s rare that we eat at the Golden Arches. But, when we do, it’s a big deal to the kids, and a lot of bang for our buck. Full tummies and a reward for good behavior all rolled into one. Once your itinerary is set, start searching for restaurants that are in the area. I use Google maps for this, and it works great! Type in your location, click on the little marker, and then click on “Search nearby.” Enter in anything from pizza to kids restaurant to Mexican to take-away. Choose two or three options, and make notes of opening times, address, price range, etc. I cannot tell you how many times we have gone to try a Mexican restaurant in a new city and it is closed (permanently or temporarily). Have a backup or two. Beyond eating out, BRING SNACKS and drinks! 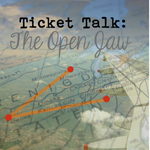 You will inevitably be stuck in a line, on a bus, waiting for a train, on a crowded tarmac. 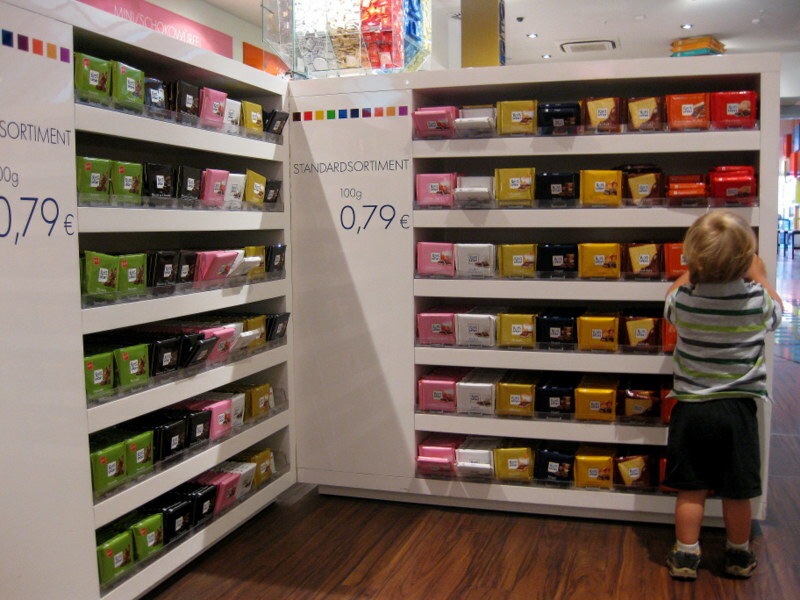 Special snacks are also good rewards, and they can keep children busy when you are enjoying your ONE thing. Does your family have a daily routine? 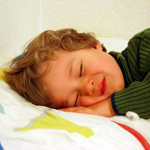 Do your little ones still take naps? Do they have a special nighttime ritual? Give your kids as many comforts of home as you possibly can while traveling. You won’t be able to totally recreate your home environment while away, but do your best to include some elements. 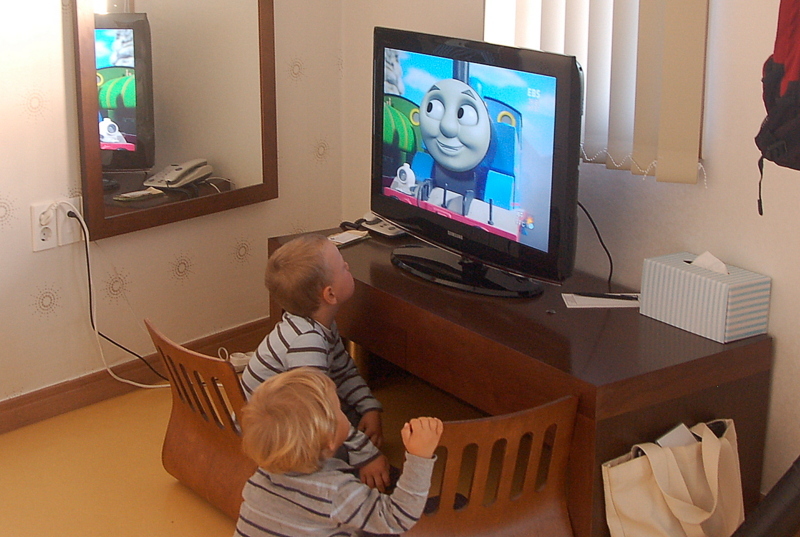 I often let the boys watch a DVD while I cook dinner, so they enjoyed catching an episode of Thomas the Train on Korean TV while I prepared rice and dumplings in our kitchenette. For instance, my two younger boys still take naps (and the older one and his parents definitely benefit from an afternoon snooze). Unless there’s something mind blowing happening from 2pm-3:30pm in the city I’m visiting, my boys will be napping in our vacation rental, the car, the stroller, or a backpack carrier. In line with the very first rule of keeping your expectations rock bottom low, I know that my boys might not actually sleep during nap time. But, I’ve found that it’s better to give them the opportunity to shut their eyes and the chance to cling to the comfort of their routine. Do I ever stray from the routine? You betcha. But not without a lot of consideration, and I rarely – if ever – will screw up the flow two days in a row. Traveling with kids is all about compromise. It’s vital to balance your wants and needs with theirs. Tip the scales completely in either direction, and it’s a recipe for some very unpleasant travel memories. Have a mix of downtime and go-go-go. If one day contains a frantic hop-on, hop-off bus tour where you’re packing in as many sites as you can, let the next day include a leisurely walk along a river or in a forest followed by a picnic lunch. 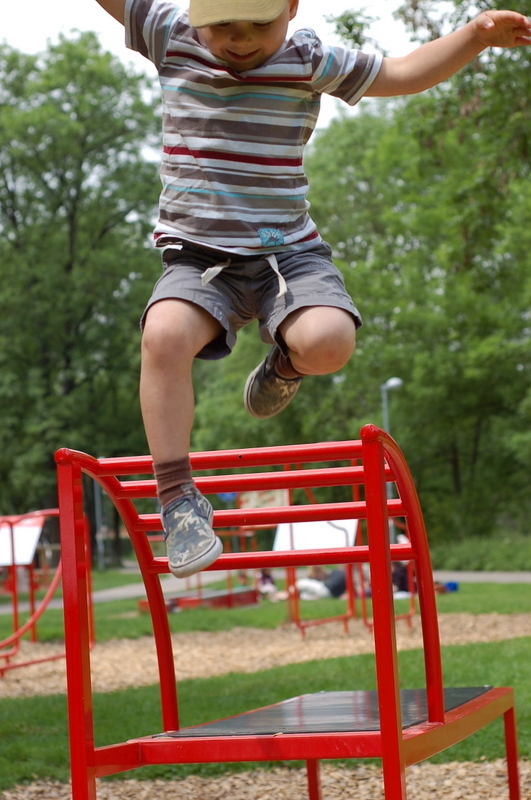 Find play places where they can let off some steam and take a break from behaving themselves. Some of the best memories we have of certain destinations are of our boys just having a grand ol’ time on the local playground while Doc Sci and I sat and talked. Trying out the funky swings in Dublin, Ireland. None of these guidelines are hard and fast rules. That’s why they’re called – wait for it – guidelines. Be willing to be flexible and go with the flow no matter if something amazing or drastic happens. 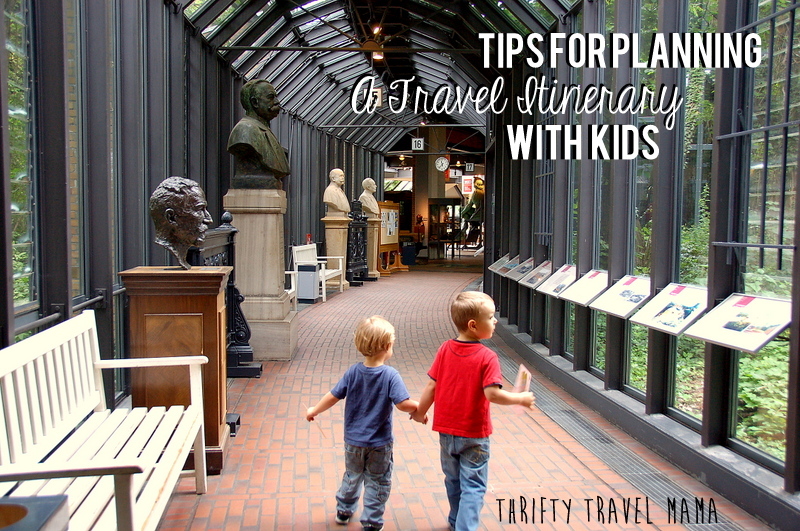 By using the tips above, you should have everything you need to successfully start planning your next itinerary with kids. 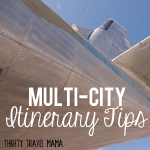 This entry was posted in How To, Planning & Research, Tips and Guides and tagged activities, attractions, baby, boys, itineraries, planning & research, restaurants, traveling with kids, vacation rental by thriftytravelmama. Bookmark the permalink.